Rep. Vicky Hartzler (r): Where have all the flowers gone? Apparently there’s no need for yarrow, spiderwort and milkweed restoration along our federally funded highways. The major paper in the largest population center in the 4th Congressional District endorsed Teresa Hensley (D) who is challenging one term incumbent Vicky Hartzler (r) in the November general election. Cass County Prosecutor Teresa Hensley (D) received the endorsement of the Columbia Daily Tribune today in the 4th Congressional District race. One of the season’s easiest endorsements from this corner is for Teresa Hensley in her congressional race against incumbent Vicky Hartzler in the Fourth District. During her time in the Missouri House of Representatives, the Republican earned the sobriquet “Vicky Von Hartzler” for her far-right positions. 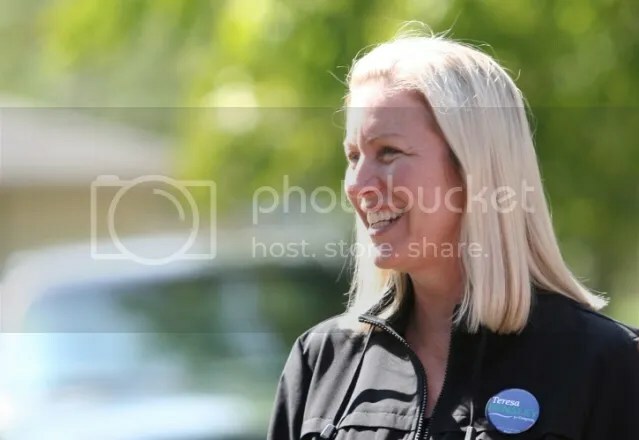 Since her election to Congress, she has done nothing to soften that image, remaining a faithful supporter of fringe conservatism. She and Rep. Todd Akin have been birds of a feather…. ….On almost any issue, you can find Hartzler is on the extreme right. Certainly her views do not reflect those of most Boone Countians – or even of Mitt Romney. ….In Teresa Hensley we have a chance to elect a smart moderate who will defend the broad center against the Hartzlers of the world. Teresa Hensley for Fourth District, U.S. Congress. 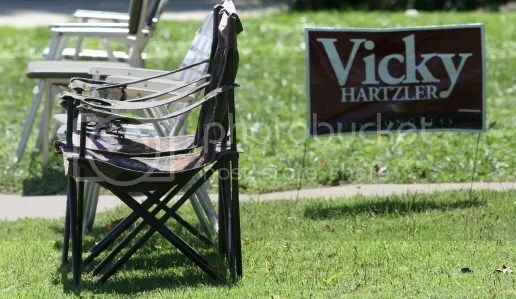 Vicky Hartzler (r) came up empty on the Columbia Daily Tribune endorsement. Because “Do Nothing Congress” was already taken. Heh. But old media is using it anyway. Hi, everybody. Last week, without much fanfare, Members of the House of Representatives banged a gavel, turned out the lights, and rushed home, declaring their work finished for now. If that frustrates you, it should – because their work isn’t finished. See, when they skipped town, Members of Congress left a whole bunch of proposals sitting on the table – actions that would create jobs, boost our economy, and strengthen middle-class security. These ideas have been around for months. The American people want to see them passed. But apparently, some Members of Congress are more worried about their jobs and their paychecks this campaign season than they are about yours. Right now, if Congress had done the right thing, we could be on our way to having a veterans’ jobs corps that helps returning heroes find work as cops and firefighters in communities all across the country. These men and women have made incredible sacrifices for our country. They shouldn’t have to worry about finding a job when they get home. But last week, Republicans in Congress voted it down. And then they left. Right now, if Congress had gotten its act together, we would have a farm bill to help farmers and ranchers respond to natural disasters like the drought we had this summer. And we’d have made necessary reforms to give our rural communities some long-term certainty. But so far, Republicans in Congress have dragged their feet. And now they’re gone. Right now, if Congress had acted, thousands of responsible homeowners could be saving an extra $3,000 a year on their mortgages by refinancing at historically low rates. But instead, Republicans in Congress decided that working families could wait. And now they’ll have to wait a little longer. And finally, if Congress had listened to you, they could have given 98% of Americans and 97% of small business owners a guarantee that your taxes won’t go up next year by a single dime. This is something we all agree on. It should have gotten done a long time ago. But Republicans in Congress have refused to budge. They’re holding tax cuts for 98% of Americans hostage until we pass tax cuts for the wealthiest 2% of Americans. And now middle-class families and small business owners are left wondering what their tax bill will look like next year. All of these ideas would strengthen our economy and help the middle class right now. All of them are supported by Democrats, Republicans and Independents. There’s no reason to wait. That’s why, after going home and listening to their constituents for a few weeks, Members of Congress should come back in November and do this work. They should do the right thing for veterans and farmers; for responsible homeowners and small businesses; for Americans everywhere who are just trying to get ahead. And if you agree with me, I need your help. Tell your Members of Congress you can’t afford to wait any longer. If you get an answering machine, leave a message. If you see them campaigning back home, tell them in person. Because there’s been enough talk. It’s time for action. That’s what you deserve, and that’s what it’s going to take to move this country forward. ….House Republicans left the Farm Bill off the schedule, but called up votes on bills like the “Stop the War on Coal Act” and the “No More Solyndras Act,” legislation sure to go nowhere in the Senate but ripe for their GOP-friendly rallies on the campaign trail later this fall…. ….Gallup’s latest polls show just 13 percent of Americans approve of the job Congress is doing, the lowest number that Gallup has measured this late in an election year since it began asking the question…..
Because agriculture is such a big priority in the 4th Congressional District, right? 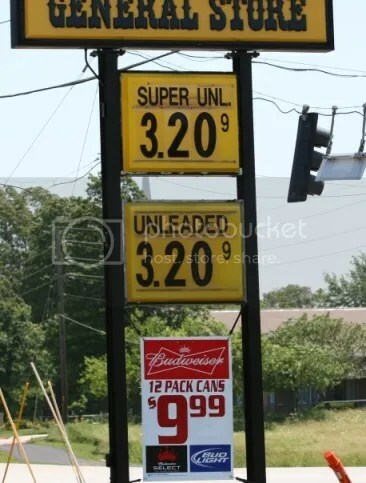 The retail price of gasoline in small town west central Missouri at noon on May 27, 2012. Still, it’s less expensive than beer. Gas prices are impacting the family budget. They have doubled since President Obama moved into the White House. Most economists agree that the price we pay at the pump is tied directly to supply and demand, meaning greater supply of gasoline would bring about much lower prices. Yet, President Obama has consistently stood in the way of efforts to increase supply. He has discouraged the use of American energy, put a moratorium on off-shore drilling, and delayed the issuing of drilling permits. His rejection of the Keystone pipeline project that would bring much-needed oil from Canada is the latest in a series of poor decisions to appease environmental extremists while increasing our dependency on Middle Eastern oil. Americans are fed up with high gas prices. Common sense approaches from the House will develop more energy from all of our available resources and reduce energy prices. It is time America used the natural resources with which we have been blessed and stopped relying heavily on foreign dictatorships for our energy needs. Without this action, prices will most assuredly stay high. By embracing a proactive energy policy we could not only become energy independent as a nation, but also create jobs and preserve a cherished American tradition – the family vacation. It is truly an honor to represent you in Congress. Correct me if I’m wrong, but aren’t the gas prices in the photo over forty cents a gallon less than the Midwest price from almost a week ago? Could that mean that gas prices are going down? Does President Obama get credit for that, too? Just asking. Correct me if I’m wrong, but isn’t $3.20 less than $3.35? Just asking. Uh, would that include bringing a hot meal to everyone without health insurance when they get ill? ….Randy Huggins:…Last Thursday I went to a health care information forum, I guess you could call it, Vicki Hartzler [a declared Republican candidate for the 4th Congressional District seat] held here. And she had concerns about the legislation and she had things that she liked about the legislation. Then she said she had solutions. The solution that she offered for the pre-existing condition my grandson had was, she offered to bring the family a, a hot meal. [pause] We’re hungry, but that’s not gonna help his heart, so. SMP: And so, do you, do you feel some frustration when, when dealing with this, you know, the subject of health care reform and when you feel like people give you solutions that really aren’t solutions? Randy Huggins: Absolutely it’s frustrating. [pause] I, I just, I don’t understand where they’re coming from. Why they can’t see the need to fix, the system’s broken. And they don’t see any need to fix it or to change it in any way. Just…. WASHINGTON – A majority of Americans want the Congress to keep the new health care law or actually expand it, despite Republican claims that they have a mandate from the people to kill it, according to a new McClatchy-Marist poll. Driving support for the law: Voters by margins of 2-1 or greater want to keep some of its best-known benefits, such as barring insurers from denying coverage for pre-existing conditions. One thing they don’t like: the mandate that everyone must buy insurance…. Uh, if there is no individual mandate and you get sick, that’s a pre-existing condition, right? Evidently those people who “don’t like the mandate” believe that if you’re healthy and you don’t want to pay for insurance you shouldn’t have to, but when you get sick you can then buy health insurance to treat your now pre-existing condition at the expense of everyone else who bought insurance before they got sick. That’s not personal responsibility nor is it even fair. Well, it is “common sense” in the world of right wingnut republicans. Figures. And it’s a nice design. They’re starting to crop up all over. And that’s probably one of the reasons why.